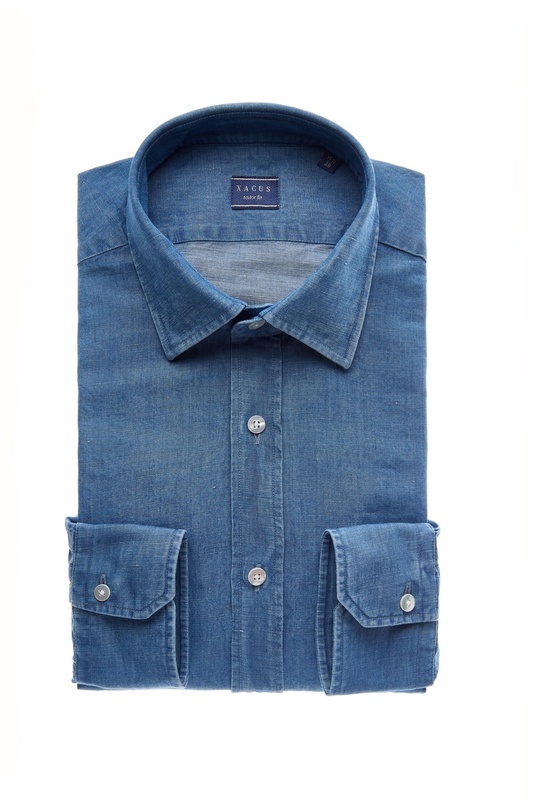 Men's shirt with semi-soft cutaway collar. Ideal for formal or casual wear. 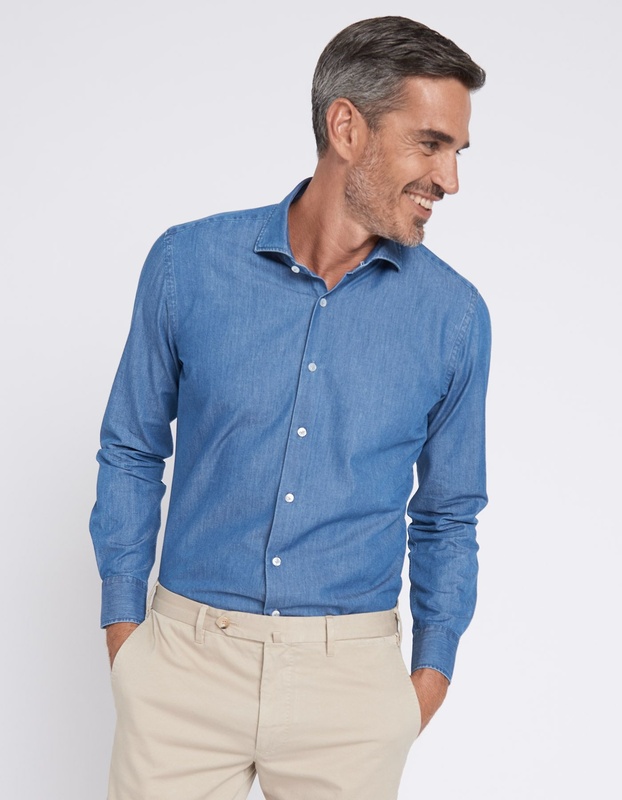 With its an intermediate tailored fit, this item is perfectly in line with the best traditions in tailored shirt making. 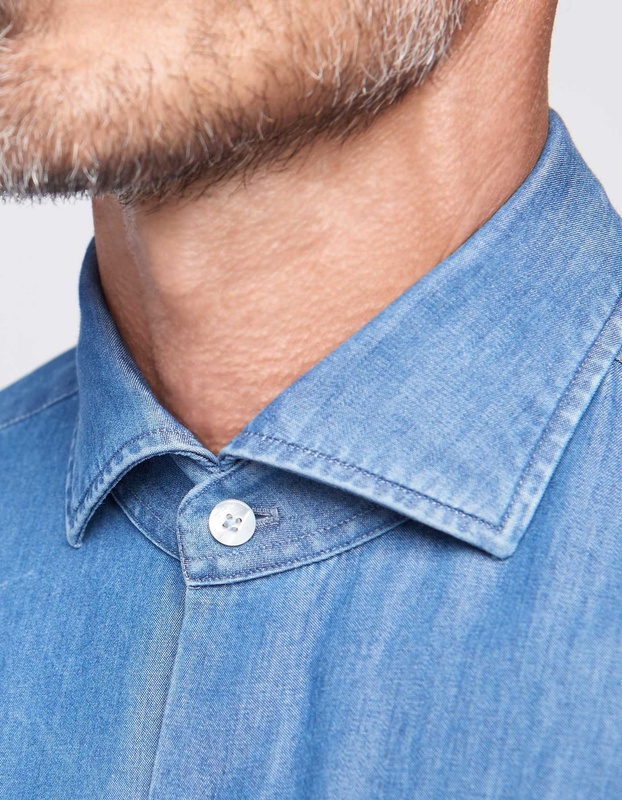 Single-needle stitching with 7 stitches per centimetre, bonding agents of the best quality, and stem on each button for the best possible tightness. 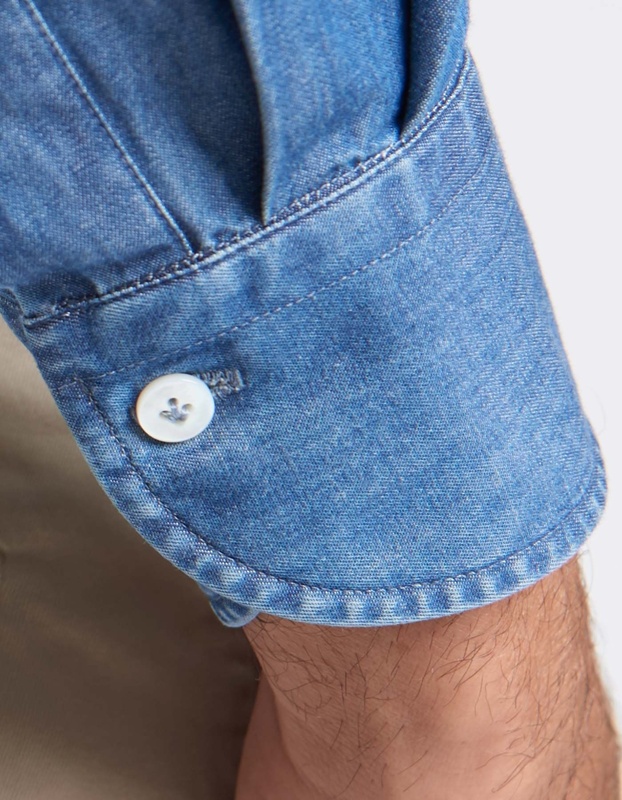 These are just some of the details that make this shirt an essential in any man's wardrobe.